This is a Old Bible or can be used as just an old book, it doesnt say bible any where although it is. 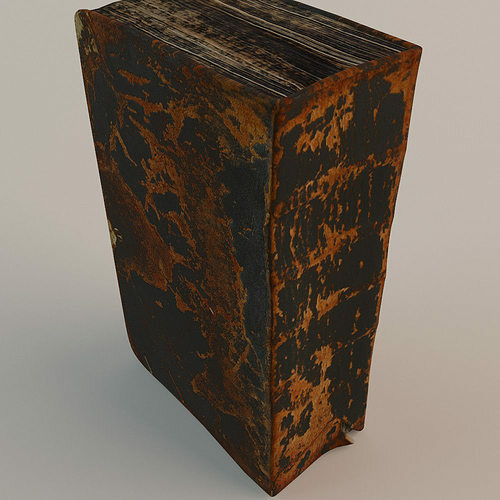 It's a detailed model with dents and artifacts modeled in mesh to match up the real book. The textures are scanned in a scanner to keep quality compared to photos. Measured from the real book in cm. Available in 3DsMax 2014 & 3DsMax 2012 and ready to use in vray. Also available in FBX and OBJ. If using FBX, OBJ or using a different renderer you need to setup shader and texture manually. The texture comes in a separate RAR file.